I used The Birdbrain Egg Painting set that you can find HERE! This was a fun one to do. ...and I can't believe how fast Easter is approaching! Beautiful coloring, Doni ! I like the Plaid paper and the soft Colors. Doni, this is so pretty! 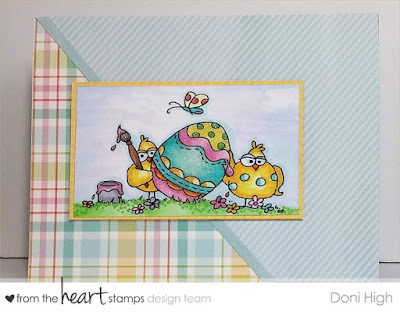 Love the colors and that gorgeous plaid paper as well! Terrific card!